We would like to see businesses come to Galesburg that would utilize all the skills that we're learning. 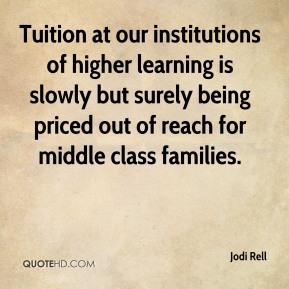 Tuition at our institutions of higher learning is slowly but surely being priced out of reach for middle class families. 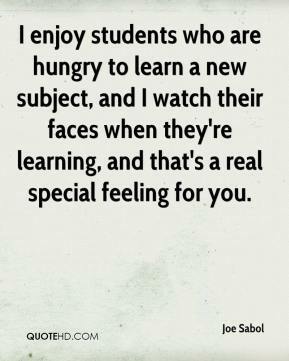 I enjoy students who are hungry to learn a new subject, and I watch their faces when they're learning, and that's a real special feeling for you. 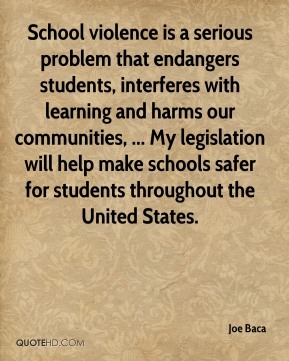 School violence is a serious problem that endangers students, interferes with learning and harms our communities, ... My legislation will help make schools safer for students throughout the United States. 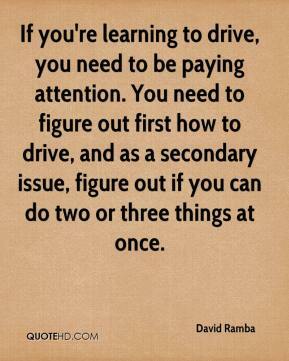 There are three stages to the game. There's learning the game, competing and winning. 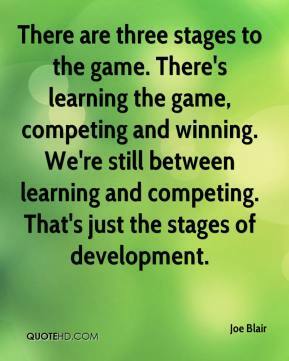 We're still between learning and competing. That's just the stages of development. 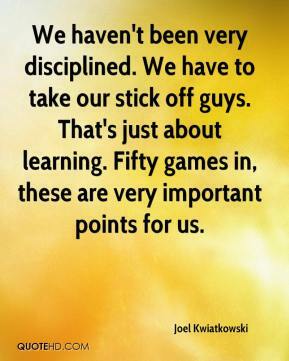 We haven't been very disciplined. We have to take our stick off guys. That's just about learning. Fifty games in, these are very important points for us. 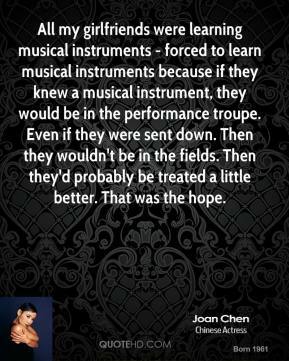 All my girlfriends were learning musical instruments - forced to learn musical instruments because if they knew a musical instrument, they would be in the performance troupe. Even if they were sent down. Then they wouldn't be in the fields. Then they'd probably be treated a little better. That was the hope. They are quiet havens of learning and development and I am pleased that the state is able to lend a hand in opening this new chapter for the citizens of Suffield. 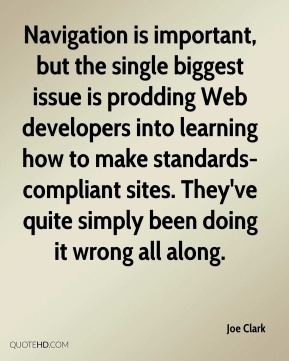 Navigation is important, but the single biggest issue is prodding Web developers into learning how to make standards-compliant sites. They've quite simply been doing it wrong all along. 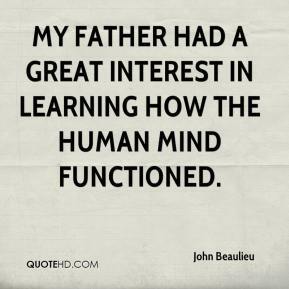 My father had a great interest in learning how the human mind functioned. I have mixed feelings about the whole thing. 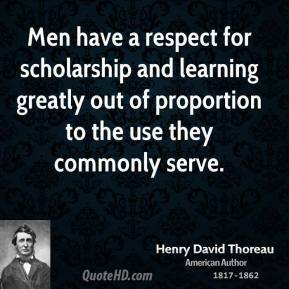 While I believe firmly in accountability and holding kids accountable for learning, I also know, a lot of times, our education system has not provided the kinds of educational opportunities kids need. She's learning on the job. That's an unbelievable number for a three-set match. She's learning and she's a very hard worker because she has to be, as she lacks a little bit of speed. 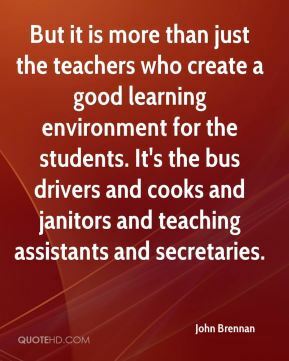 But it is more than just the teachers who create a good learning environment for the students. It's the bus drivers and cooks and janitors and teaching assistants and secretaries. These camps emphasize learning the tools of an actor. 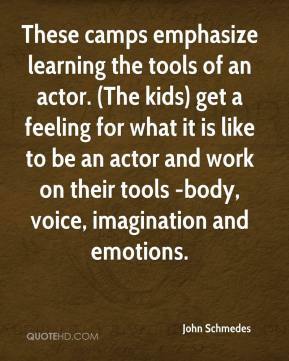 (The kids) get a feeling for what it is like to be an actor and work on their tools -body, voice, imagination and emotions. 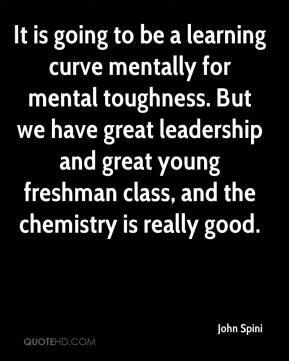 It is going to be a learning curve mentally for mental toughness. But we have great leadership and great young freshman class, and the chemistry is really good. He's a person who is very receptive to learning. 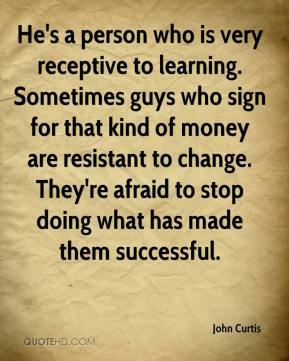 Sometimes guys who sign for that kind of money are resistant to change. They're afraid to stop doing what has made them successful. We were learning what we were doing while we were doing it! 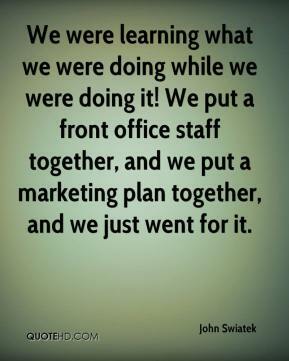 We put a front office staff together, and we put a marketing plan together, and we just went for it. 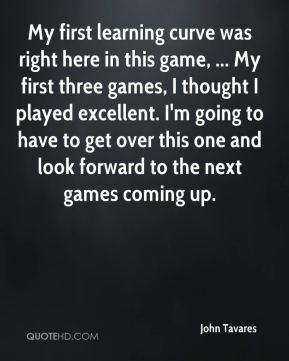 My first learning curve was right here in this game, ... My first three games, I thought I played excellent. I'm going to have to get over this one and look forward to the next games coming up. 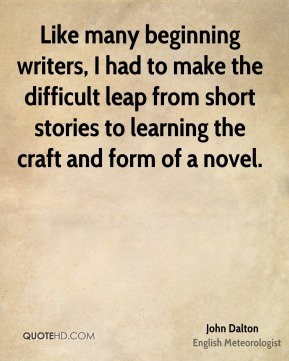 For many of the new kids this is a learning experience. 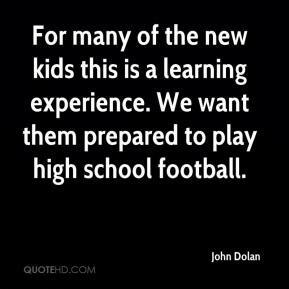 We want them prepared to play high school football.